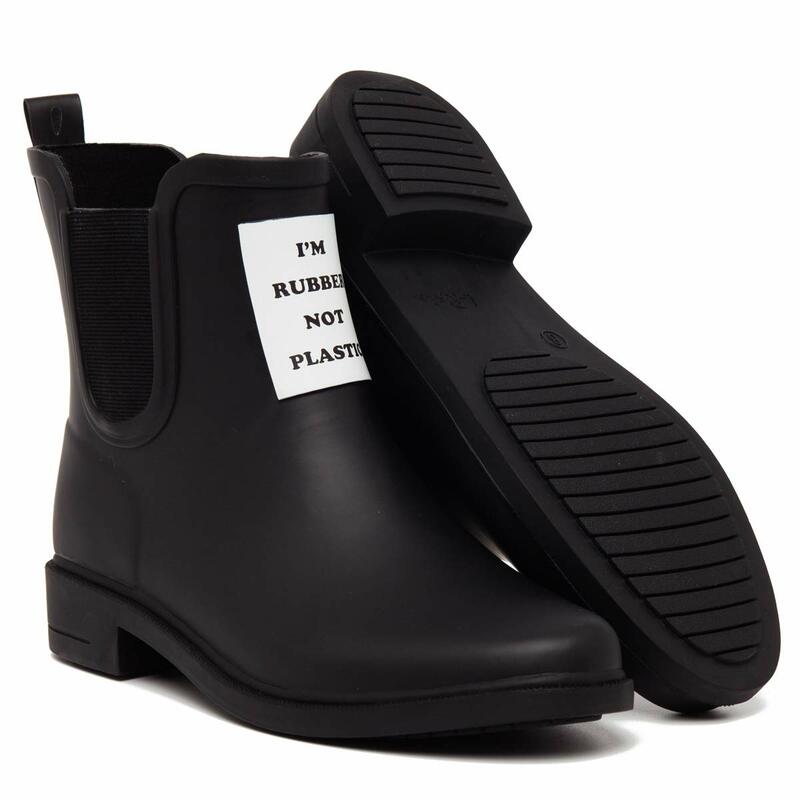 RUBBER SOLE AND UPPER with cutton interior，super non-slip, soft, durable, breathable and eco-friendly . Heel measures approximately 1.18 inches. Striped shoe sole brings more anti-sliping and safe. Fashion design in US. 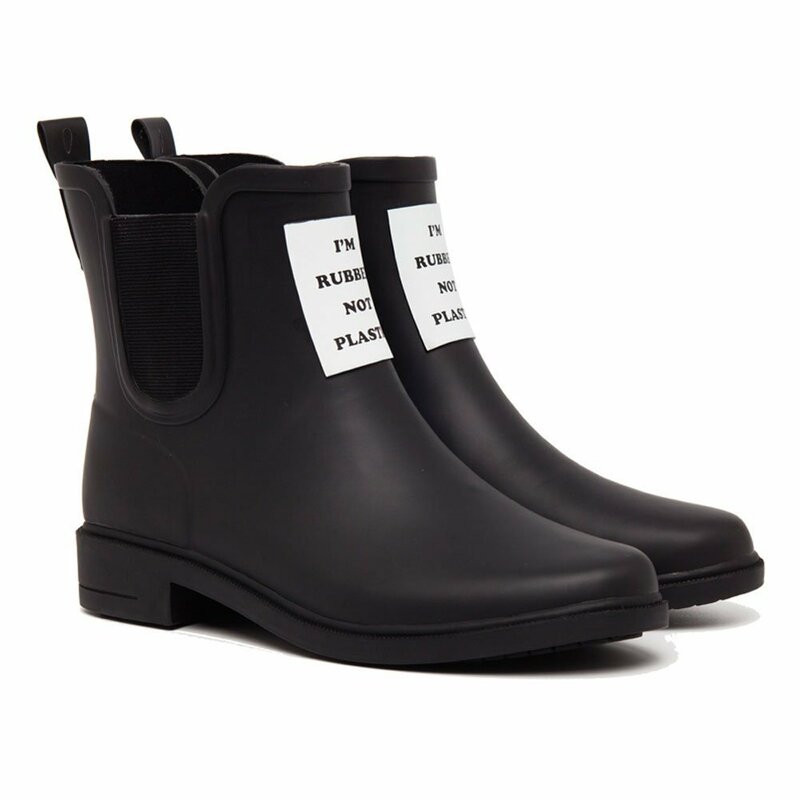 Perfect in any situation and versatile enough to wear as casual daytime shoes.Classic chelsea boots, comfortable and lightweight, waterproof and wear-resisting, keep trendy in rainy days. 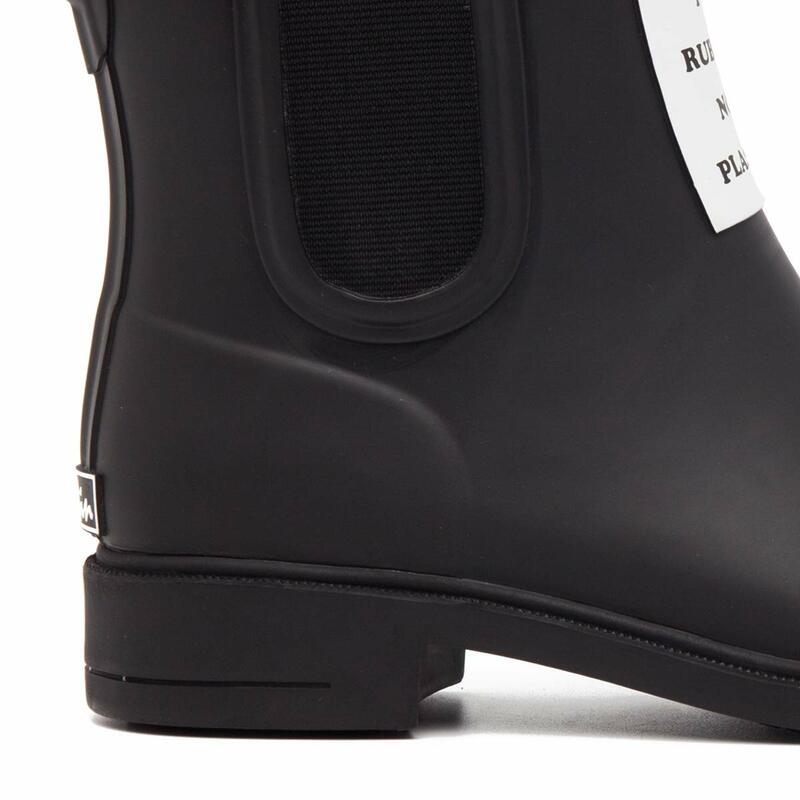 This pair of rain boots can be worn for many occasions without losing a sense of fashion. No matter in the rain or snow, no matter park or yard, it can keep your feet dry all day. Note: Please refer to the size information as follows before ordering. (US)5-(EUR)35, (US)6-(EUR)36, (US)7-(EUR)37, (US)8-(EUR)38, (US)9-(EUR)39. 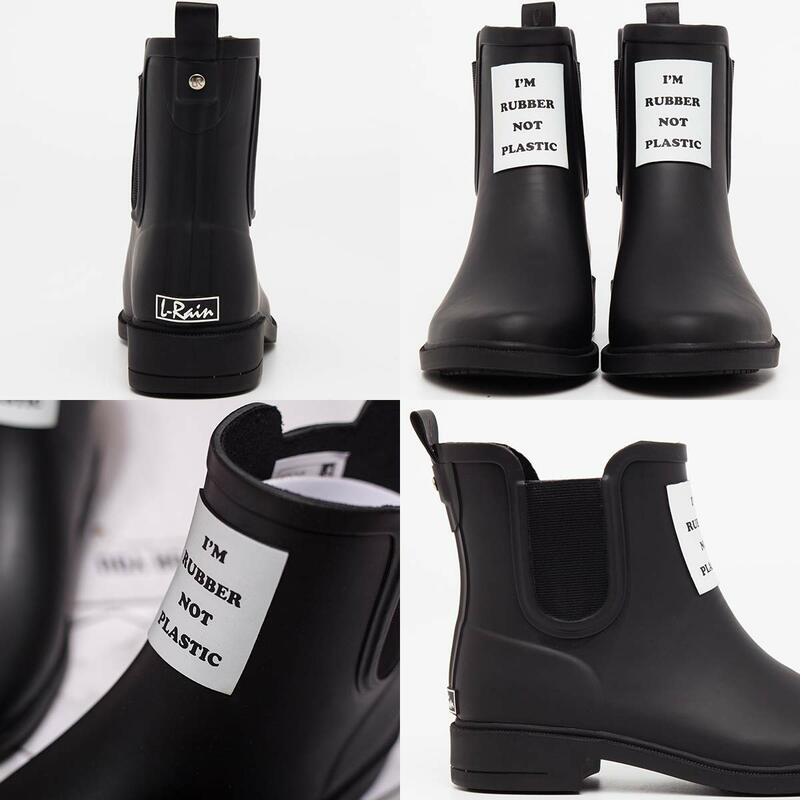 Package: All of our brand, LR L-Rain, rainshoes are packaged with a beautiful gift box and a pair of assorted color socks for free. Elastic design on sides can play a very good ventilation and make you easy to wear off. Various color matches different styles and age groups, no matter sweet or British, no matter young or old. 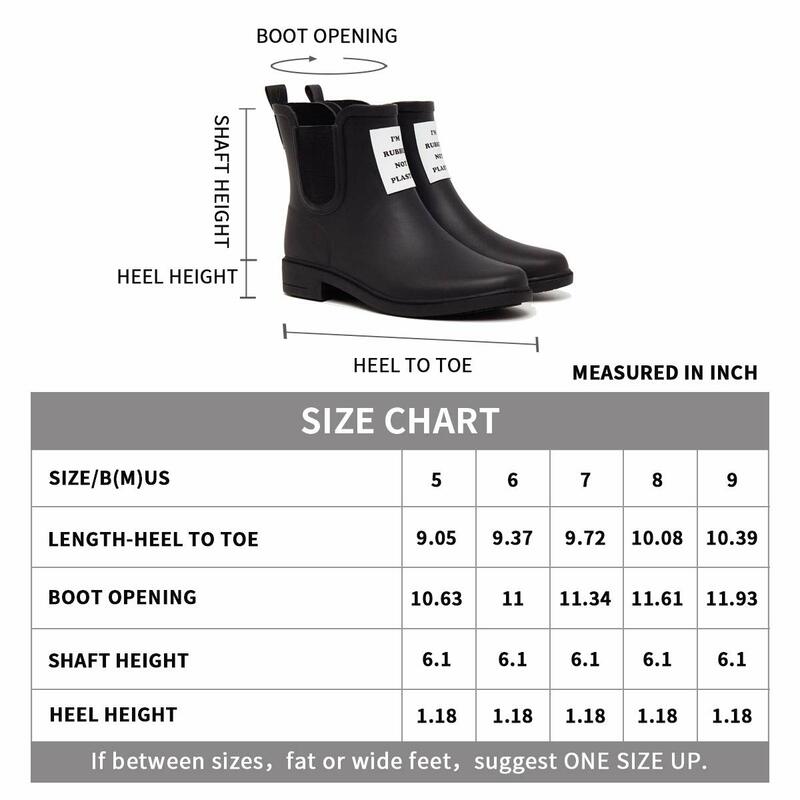 Warm Tips: our rainboots have much more stylish toe cap, so the toe area may be a little narrow for fat or wide feet, if you are BETWEEN SIZES, we suggest you choose ONE SIZE UP.